Hey everyone, I’m back again this week to https://joedichiara.wordpress.com posting the finished character work for The Notorious B.I.G. This is the final character art for the last instalment of my “Hip-Hop “Beef”” Illustration series. Be sure to check back later this week to see the final artwork for “Hip-Hop Beef, 2Pac vs. 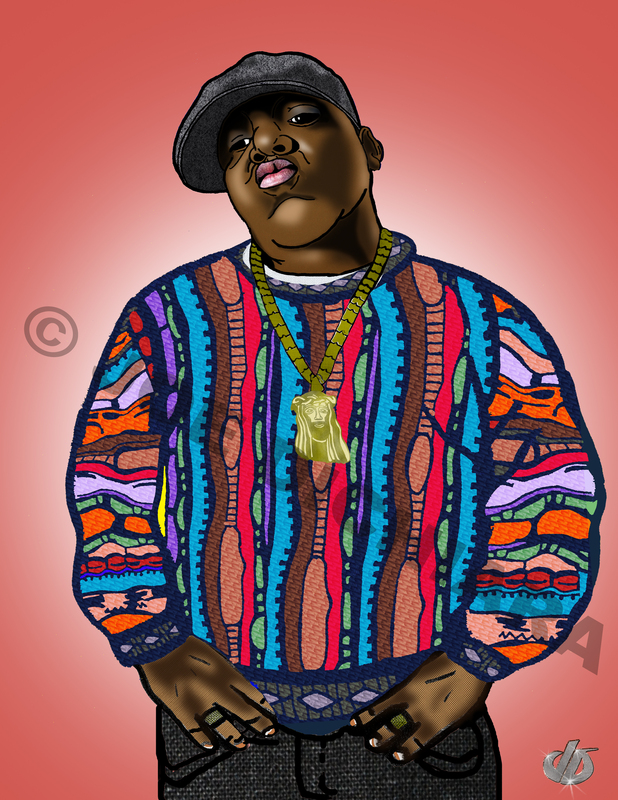 The Notorious B.I.G.” and also be sure to log onto http://www.joedichiara.com to see additional artwork.